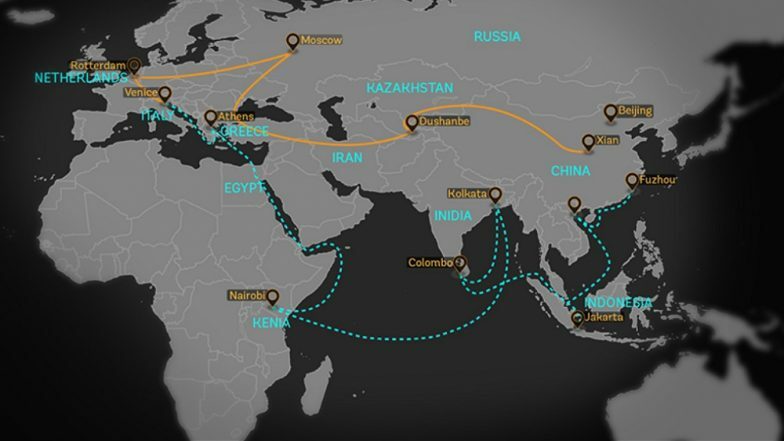 Mumbai, April 17: After Italy, Switzerland has become the second European country to agree to sign up to China’s Belt and Road Initiative. The Swiss government announced that President Ueli Maurer will sign an accord backing China's Belt and Road Initiative (BRI) when he visits China this month. Maurer, who is also Switzerland’s finance minister, will attend the second Belt and Road summit next week which is expected to draw around 40 foreign leaders. Switzerland follows in Rome’s footsteps as Italy became the first G7 country to join China's BRI in March this year. Italy signed a non-binding MoU during President Xi Jinping’s visit to the country last month. The MoU covers a range of sectors and promises to increase co-operation in the banking sector, a partnership between a Chinese construction company and Italian ports and the export of fruit from the Mediterranean country to China. The two European countries have signed on to the BRI project despite pressure to not do so from Washington and Brussels. The Trump Administration has repeatedly called China’s BRI project “debt-trap diplomacy”. The European Commission too has branded China a "systemic rival" and threatened to tighten regulations on Chinese investment in Europe. European countries signing up to China’s BRI is a way for them to increase bi-lateral trade as the world has become inundated with Chinese made goods while not enough non-Chinese goods make their way into China. Italy is hoping to capitalise on this market while Switzerland will obviously look at capitalising its position as the world’s most secure banking country.